This project aims to tell the story of the town and its people between 1914 and 1919. It collects information from a variety of sources and will be updated as new material becomes available. 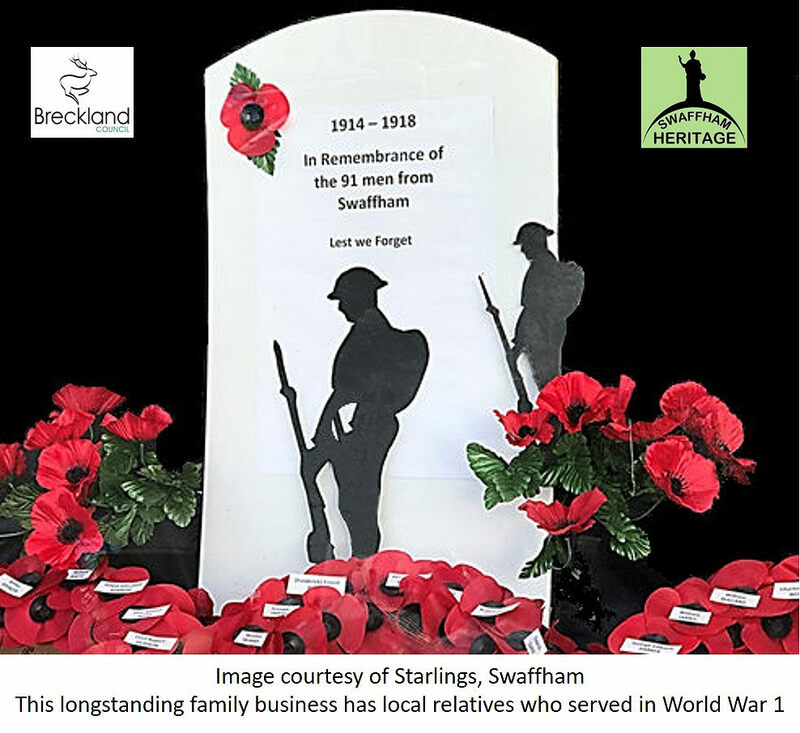 It is free to view on a computer, a mobile device and in print format at Swaffham Heritage. It is in no way complete. Of the 600 or so men who went to war less than 200 are recorded here. Research on these men and on life in the town is ongoing.